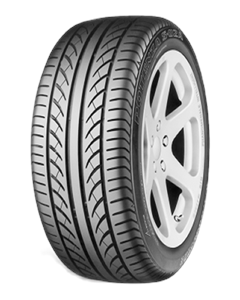 Potenza S-02A tyres are Bridgestone's Max Performance Summer tyres developed for high performance sports cars. Developed for Original Equipment use on selected Ferrari and Porsche vehicles, they were designed to combine responsive and predictable handling with exceptional levels of traction. Potenza S-02A tyres are tuned for dry and wet road conditions, however like all summer tyres, are not intended to be driven in near-freezing temperatures, through snow or on ice. Sorry, we currently do not have any tyres with the Potenza S-02A pattern in stock.